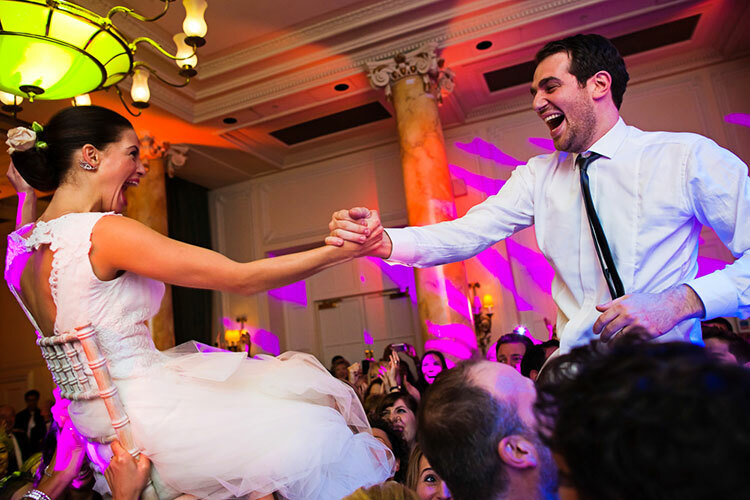 The hora (sometimes called Jewish Dancing or Israeli Dancing) is a highly energetic Israeli circle dance, and guests are supposed to put as much vigor and enthusiasm into it as they would on their own wedding day. 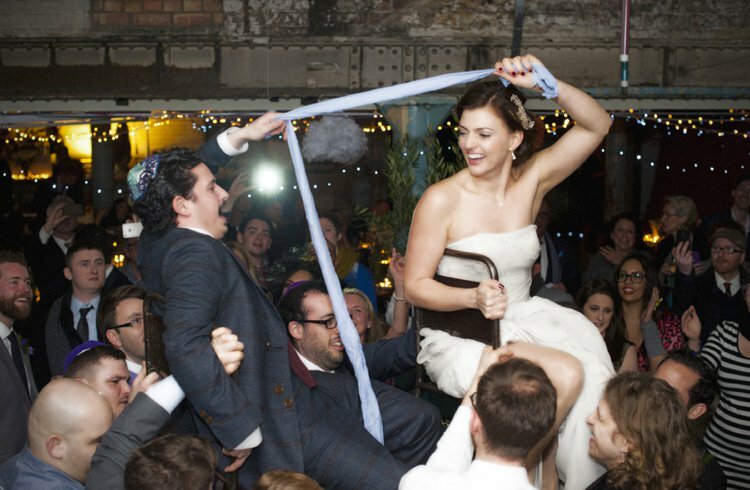 Danced to klezmer music, it’s usually the part of the wedding where you’ll see the happy couple lifted on chairs (equal parts exhilarating and terrifying), or being thrown about on a sheet! 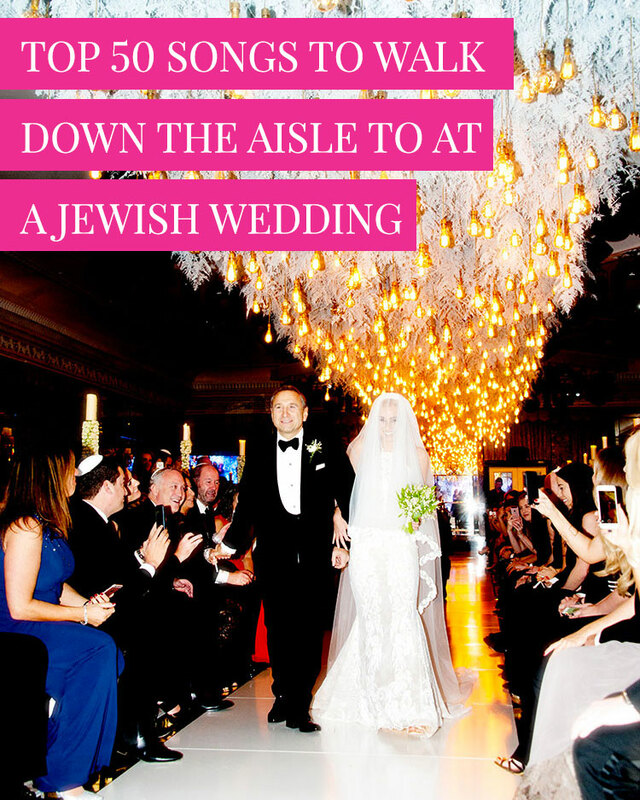 At religious, Orthodox Jewish weddings, men and women dance the hora separately, with a dividing wall, while Reform, Liberal and Jew-ish weddings tend to keep the party in one place. It’s an amazing challenge for any photographer, to capture the mayhem, and frankly, at this point, brides can forget about their hair and makeup, because things are going to get sweaty! 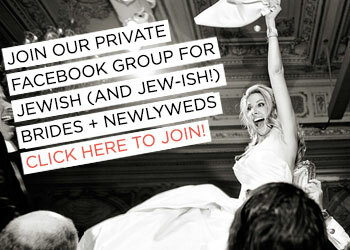 So, given how integral the hora is to a real Jewish knees up, how do you make it happen? 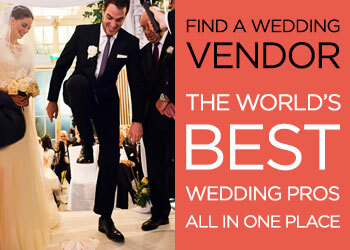 Here are some tips to getting everybody at your wedding involved in this boisterous and brilliant tradition. 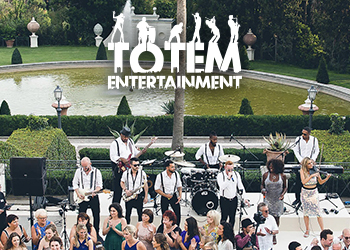 If your budget can stretch to it we highly recommend a live band. Whether it’s a live band who can play some klezmer classics, or a traditional klezmer band, it’s all in the music. If live entertainment is a little out of budget, we advise putting together a klezmer playlist or asking your DJ to dedicate a special portion of the evening to it. There are many traditional melodies to choose from. If you’re not sure where to start, YouTube is a great source of inspiration for hora songs. This video alone is a medley of some of the most popular songs to dance the hora to, to get your playlist going. 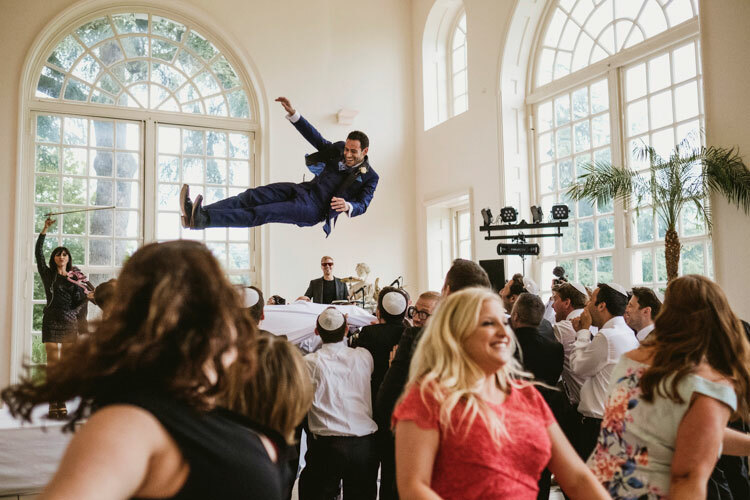 Chances are, if you’re having a Jewish or Jew-ish wedding, that you’re probably already a somewhat accomplished hora dancer. 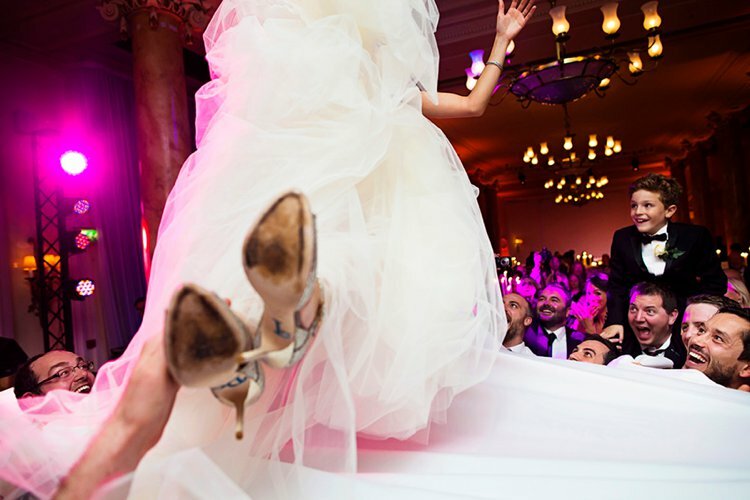 However, if you’re a little unsure of what happens when you dance the hora, why not brush up before the big day? 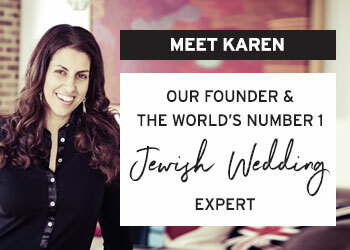 Whether you find a local Israeli dance class or teacher to help you out, or you use one of the many YouTube tutorials available, make sure you’re confident enough to whip up enthusiasm among your guests. They will, after all, be following your lead. 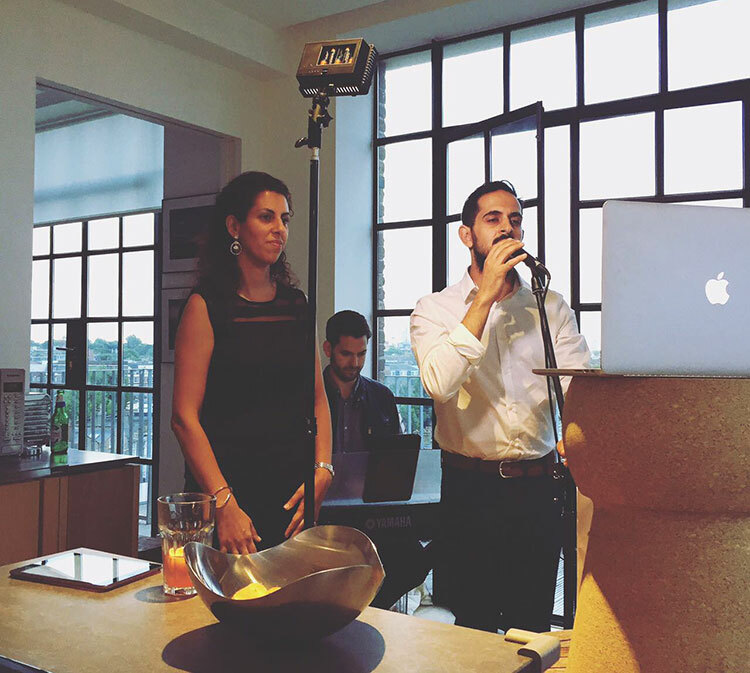 On Wednesday evening we were privileged to host the BEST Facebook Live yet when we went live with the ridiculously talented Jonny Mosesson, the chazan who I had at my own wedding! It was essentially a Smashing The Glass Unplugged for the June episode of our monthly STG show live from my apartment in London — Mr STG made Aperol Spritz’s for everyone, we had friends over at our place watching, singing and dancing in the background, and the neighbors even joined in! It was was a ‘Jewish Wedding Music’ special and we were bowled over by Jonny’s musical talents and his wonderful accompanist, Jamie Noar. The live audience, from all corners of the world, expressed their love for the show with loads of hearts, likes and comments. Thank you for being such a great audience – we love the live interaction! There were so many great songs played including the Hora medley with Siman Tov Mazal Tov (45 mins in), Yerushalayim Shel Zahav (9 mins in) Katonti (13 mins in), Shuvi Nafshi (22 mins in) Boi Beshalom (26 mins 30 secs in), Im Eshka’hekh (42 mins in), Eshet Chayil (38 mins in), and Erev Shel Shoshanim (57 mins in). 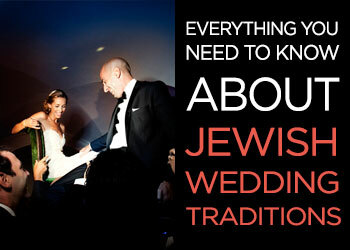 Find our more about the perfect Jewish wedding music for your ceremony inside our Brides Club for Jewish Brides. 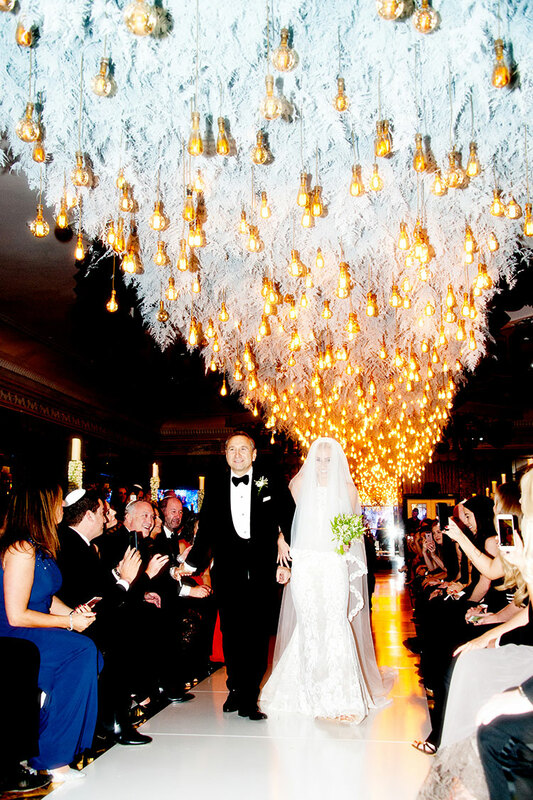 With every one of our Real Jewish Weddings we ask the bride or groom, “what song did you walk into and how was the song choice significant to you?”. We receive so many awesome song choices that we thought it was high time we collated them into a Top 50 list for your benefit! So here it is – click on the songs to listen to them and let us know if you have any to add. Click on the playlist, and scroll down, to see the full catalogue in Spotify. This playlist will be constantly updated with new tracks. Enjoy!